SHINE is ready to custom manufacture your switch assembly. Here at our manufacturing center in Adams, Massachusetts, we employ a highly-trained workforce, use state-of-the-art equipment, and are committed to quality. Learn more about our electro-mechanical assembly capabilities. What is a Switch Assembly? A switch assembly turns a device on or off by connecting or breaking an electrical circuit. Components include the contacts, the switch body components that permit or deny the flow of electrical current; and the wiring harness, which holds the switch and provides a location for electricity to enter or exit. At SHINE, we supply switch assemblies that meet UL, CSA, RoHS, and other requirements for quality. 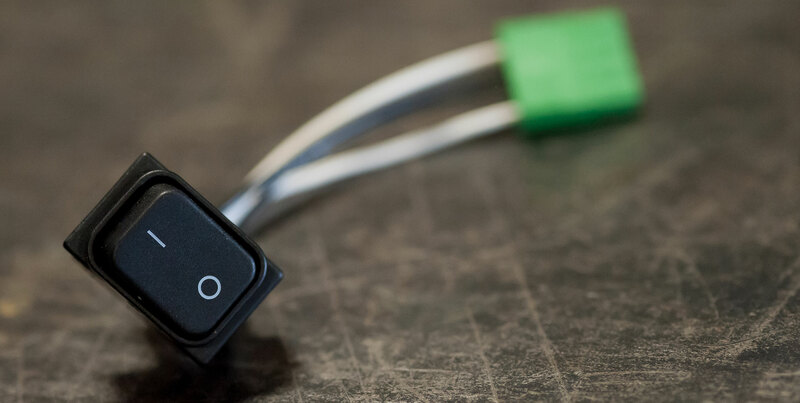 Each custom switch assembly from SHINE meets all of your project specifications. We specialize in the manufacture of switch assemblies like these. As an experienced electronic contract manufacturer, SHINE understands switch assembly requirements and can support your product designs. The engineering support we offer means that we can source components that support electrical performance and mechanical life. Switch assembly services from SHINE can also include the installation of DIN rails, panel mounts, wall or box mounted receptacles, and base or flange mounts. We can assemble switches that use single-phrase or three-phase power, AC or DC, and that have various current ratings and operating voltages. SHINE is an ISO 9001:2015-certified manufacturer of custom cable assemblies, wire harnesses, and electro-mechanical assemblies. Since 1984, we’ve been providing partners with wire and cable products that exceed their expectations. How can we help you?